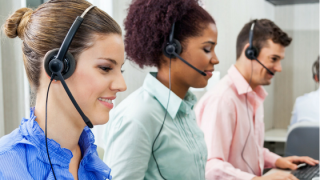 Contact centres across the UK need to invest in new technology to ensure both workers and customers benefit, study finds. Companies with contact centres in the UK are failing to give their customers the best possible experience due to their facilities being under-supplied with the latest technology. That's according to a new report by Calabrio, which found that contact centres were often far behind in embracing the newest tools and services, leaving workers unsupported. Calabrio's survey of over a thousand contact centre employees across the UK and US found that 60 per cent admit their company has left them ill-equipped to handle these problems, leaving agents stressed and unengaged. The tools must requested by agents included text messaging services to facilitate better communication with customers, as well as boosted social media and self-service tools such as chatbots. Overall, 52 per cent of employees believe that their company isn’t doing enough to prevent their teams from burning out - a particular worry as 65 per cent said that their call volumes have increased in the past 18 months. “Brands are battling it out to deliver the right customer experience to get ahead of the competition and drive market share," said Kris McKenzie, EMEA general manager at Calabrio.